Convenience | Detroit Forming, Inc. The need for reliable, convenient, to-go packaging is greater than ever and DFI is poised to be the one flexible source to fill all of those needs. If you seek a two-piece container with a base and lid or a hinged container, DFI probably has developed the package to meet your needs. 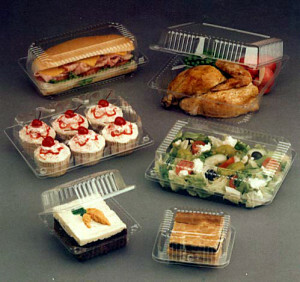 If it is a salad you want to package, fresh-baked pies or hand-folded calzones, we probably have an item that merchandises your product and packages it for convenience. Please allow DFI, and our experienced sales team, the opportunity to find the item that will meet your convenience packaging requirements. If DFI does not already have the item you seek, our experienced design staff can custom build the item you need. Either way, DFI clearly has you covered.